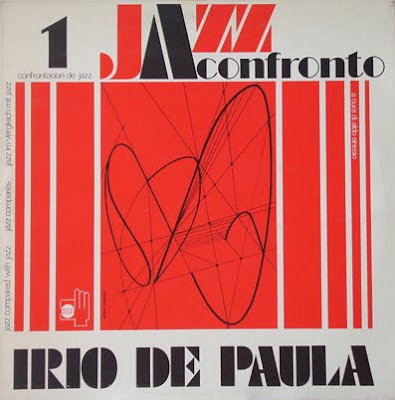 Critics have defined Irio De Paula as “the most fascinating Brazilian guitarist” and indeed, throughout his log carreer (at only 6 years old, was already played in a band with his brothers and broadcast on the radio in Rio), he has played with the best musicians of his country: Paulo Moura, Baden Powell, Rauzinho, Djalma Ferreira, Juarez , and many others, from Astrud Gilberto to Chico Buarque. He has recorded over 60 CDs and LPs, some solo and some with artists such as Sal Nistico, Steve Grossman, Dannie Richmond, Archie Shepp, Don Pullen, Ray Mantilla, Phil Woods, Lee Konitz, Franco D’andrea, and many others. 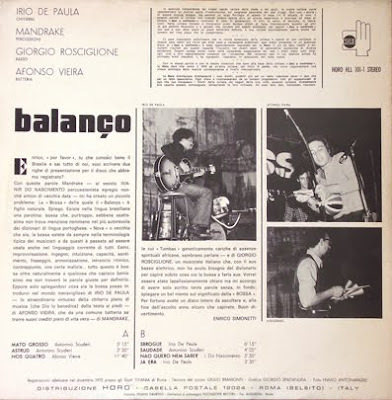 In the 1970s, Irio De Paula toured Europe with the brazilian singer Elza Soares, and after taking part in the Pescara jazz Festival with his own trio, he decided to stay and reside in Italy. beautifully presented, thankyou for this.